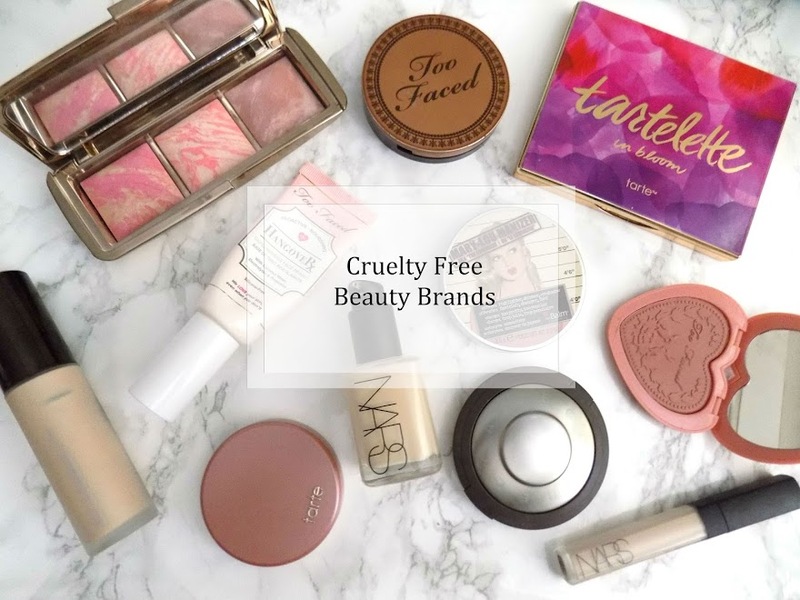 I really like showing you the products I love, but because I am a beauty blogger, I like to try lot's of things and I don't always repurchase products. But on the odd occassion I do and I wanted to share those products with you too, because they're the best of the best, the cream of the crop. Plus, if you want to see the last repurchased products from March check it out here. I don't normally repurchase many hair products but I was really impressed with how the L'Oreal Elvive ExtraOrdinary Clay Shampoo & Conditioner worked with my hair and so I picked them up again. I got the Anti-Dandruff Shmpoo because it works really well with my dry scalp, and then the Re-Balancing Conditioner because it's the perfect amount of hydration but doesn't make my hair greasy or weigh it down. As for skincare, I have been loving the Nip + Fab Glycolic Fix line and I have repurchased their Exfoliating Pads again since the last repurchased post in March, and I have also picked up another of the Glycolic Fix Serum because I have seen a massive difference in my skin since using it. The Sanctuary Spa Cleansing Oil is a must have to make sure I remove every last scrap of makeup. It also does a really great job at balancing my skin out which is why I love to use a cleansing oil in my nighttime routine. The Masque Bar Dark Circle Reducer Eye Masks aren't a necessity on an everyday basis but when I am trying to calm down, or if I've had a particularly sleepless night then I whack these on and they reduce any puffiness and extra darkness around my eyes. Plus, my boyfriend loves them too. Finally for skincare is another product I have shown in my repurchased posts before and that is the Soap & Glory Make Yourself Youthful Eye Cream. I wanted to include this in here again because I find it very difficult to find an eye cream that works well for me, that doesn't cause irritation and that hydrates enough, but not too much. This is the one for my under eyes and so I thought I would mention it again just in case any of you are looking for a good affordable eye cream. 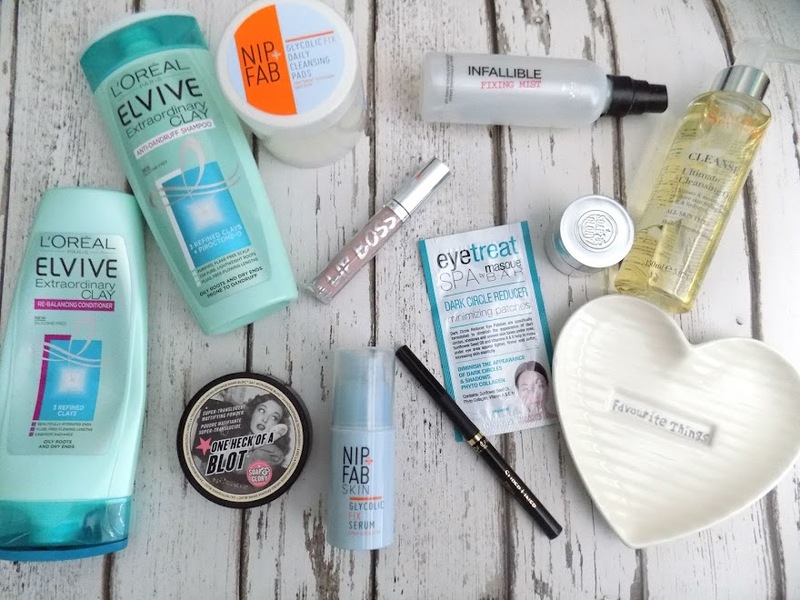 For the makeup portion of these repurchase products, I've got a few products which are some of my favourite products. First up is the Soap & Glory One Heck Of A Blot Powder, now this is my second compact of this stuff and I have to say it's my favourite face powder out there. It's translucent, it's not cakey or heavy and it does great job of setting my under eye concealer as well as my t-zone and anywhere else I want to powder. To go along with setting makeup, another L'Oreal Infalliable Setting Spray bites the dust. This is by far my favourite setting spray that I've tried. I have gone through this one in just over a month so you can tell I use it numerous times on the daily. I wish they did a supersize of this. I've mentioned the L'Oreal Perfect Slim Eye Liner quite a lot i recent weeks and for good reason. I repurchased this at the beginning of the month and realised how much I had missed it, how easy to use and I have been using it every single day ever since. It takes seconds to wing out my liner, it's the blackest of black and I think it's an incredible liner, hence why I repurchased. Finally is the Barry M Lip Boss Lip Gloss and I'm not a lip gloss kind of girl but I have to say this is an incredible one and it's less than a fiver. I love the colour, I love the shine, the scent, I just love how it looks and I always get compliments whenever I wear this, even if it's over another lipstick, it just completes every look and I love it.